How do you make this mistake? First, you find an interesting subject. One you are really excited about. You come to the background. You notice the background isn't that interesting. But, hey, you are having so much fun drawing or painting the main subject you don't really want to spend time worrying about the background. After all, it's not the star of your picture. So, you just throw in a flat color. Just to fill the empty space. When you make this mistake you are detracting from your art. You make this mistake by creating boring areas that can leech excitement out of your star. In a movie the star of the picture can give a great performance. But, if the rest of the cast is lackluster, the movie will probably be a dud. Remember that most art is rectangular. That means the entire area within that rectangle needs to be interesting, not just the star of the picture. And making the background more interesting doesn't have to be a huge task. In fact, something simple may be all that's needed. Case in point, my drawing above might still have been interesting if I had allowed the tone of the paper to be the only background. But look how, by adding an imaginary area of light behind the model, I've created something a bit better. I not only made the model stand out more, I've divided the rectangular picture into several, more interesting shapes. And I've created a relationship between the background and the star of my picture. The same principle applies to painting. 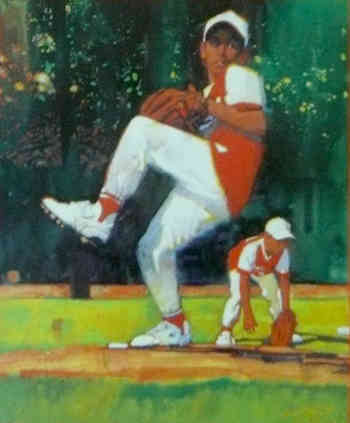 In this book cover illustration by Glenn Harrington, the little league pitcher is the obvious star. But notice that almost two-thirds of the art is background. That background needs to be interesting, but not so interesting that it competes with the star for your attention. Many beginning artists would have spent a bunch of time delineating all the trees in the background. He laid in an oil wash that varied the tone. Then he painted just enough "sky holes", tiny areas of lighter paint that your imagination interprets as light coming through trees. This is a great example of how to not make the mistake of creating a dull background. And one of the ways to put more emotion and more excitement in your work. P.S. 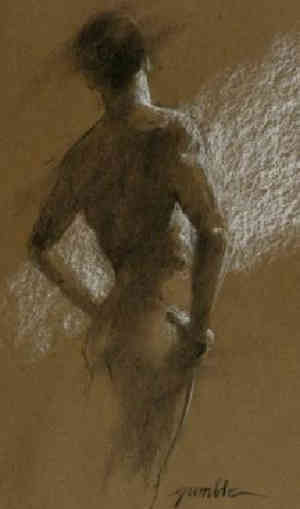 It's often the simple solutions that make all the difference in your art, whether you are drawing or painting. … until they become an ingrained habit. That is when art really becomes fun. That is when you can call upon more and more of your creativity. And wouldn't you like to know more ways to do that? P.P.S. 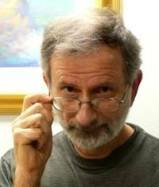 Have a friend who would enjoy this article? 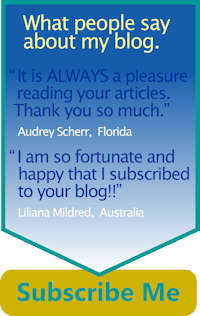 Send it to them and invite them to join my blog. Click here to Subscribe. Subscribe today to get weekly updates about how you can make more dynamic art.